The play list below organizes video explanations to all of the math questions in the 2016 New SAT Practice Test#4 in the Official Guide to New SAT. 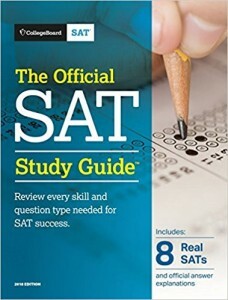 Download: SAT Practice Test #4, Answers and Scoring, Essay. FYI: no calc section 3 has calc section 4 questions 1-8 at the beginning of the group- it makes it a little hard as it doesn’t belong there- we figured it out of course, but I don’t think you should leave it there.